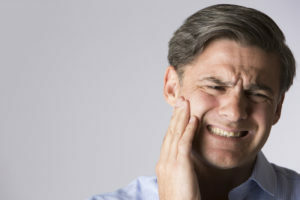 Whether it is a throbbing pain that wakes you up in the middle of the night or a dull ache that interferes with your day-to-day activities, a toothache is a problem. Healthy teeth don’t hurt — and if you have a toothache, you need to seek a professional opinion ASAP. That’s why your dentist in Casper is pleased to offer patients free toothache consultations! Getting professional attention promptly is key to relieving pain and moving on with your life. Keep reading to learn more about toothaches and why this special is so important for Casper smiles. A “dental emergency” is anything that is bleeding, broken, or causing pain in your mouth. Getting prompt professional attention can help to keep the situation from spiraling out of control — especially when it comes to a toothache. Left untreated, you may be at risk of losing the tooth completely. Even worse, the infection that causes the ache can quickly spread throughout the rest of the body, putting your overall well-being at risk. When you get in touch with our office for help with a toothache, we will schedule a free toothache consultation right away. Do not delay — as mentioned earlier, getting prompt care is important for your oral and overall health. During the consultation, your emergency dentist in Casper will examine the tooth and have X-rays made to determine the source of the ache. It may be necessary to ask you a few questions about your oral health, or the cause of the discomfort may be apparent right away. This free toothache consultation is important for identifying the problem and then putting together a restorative treatment plan to help you find the relief you need as soon as possible. No matter the treatment that is right for you, you can feel confident when you partner with our expert team to find relief! Dr. Erin M. Prach is a general dentist providing comprehensive dental care to patients of all ages. To learn more about her services or to schedule an appointment with the general, restorative, and cosmetic dentist Casper trusts, do not hesitate to get in touch with the office at 307-337-4770.